This is the same type of Navy vessel that will be dedicated in honor of Cesar Chavez. The times are a – changin’. They certainly are. NASSCO – with 60% of its workcrew Latino, and located in Barrio Logan, a Mexican-American neighborhood of San Diego – is about to christen its latest Navy cargo ship after Cesar Chavez. The dedication ceremony will occur on Tuesday, May 17th, at NASSCO. The Chavez family will be flying into San Diego for it. This is an interesting development, certainly. The civil rights and labor leader was in the US Navy in his youth. The last of the 14 Lewis and Clark-class cargo ships that General Dynamics NASSCO is building in San Diego will be named after Cesar Chavez, the late civil rights and labor leader. Secretary of the Navy Ray Mabus will visit NASSCO on Tuesday afternoon to make the formal announcement. Some members of the Chavez family are expected to be in attendance, says NASSCO, which recently laid the keel of the ship. “We suggested the name Cesar Chavez for the ship because we’re in Barrio Logan and want to be good neighbors, and we want to show respect for our workers,” said James Gill, a NASSCO spokesman. About 60 percent of NASSCO’s 3,600 employees are Hispanic. Lewis and Clark, Sacagawea , Alan Shepard, Richard E. Byrd, Robert E. Peary, Amelia Earhart, Carl Brashear, Wally Schirra, Matthew Perry, Charles Drew, Washington Chambers, William McLean, Medgar Evers. The newest vessel in this line will be the first to be named after a Mexican-American. Chavez was born in Yuma, Arizona in 1927, and died in San Luis, Arizona in 1993, at the age of 66. Looks alot like the Orca on the movie jaws, but better built. Unbelievable: Duncan Hunter opposes this idea. I can’t take this guy – Hunter – much longer. So glad I don’t live in his district. He is such a racist! Remember the immigrant shoe thing? And we as a nation sent him to Iraq? OMG! Can we do a demonstration in front of his office some day, Shane, Jim, Andy, Frank, Annagrace and all you OB Rag people who are so good at organizing and reporting on protests? I heard part of the interview. Hunter is calling it a Political Stunt. Gringo Grande. Just make up a dozen or so placards and get a couple of car loads of “Homies” and show up at his office. just make sure he’ll be there so you don’t look foolish. Take that one from me. If you could time it for when there will be press present it would be even more effective. Good luck. I’m sure he’s cut out of the same corrupt cloth as his crooked dad. As soon as Cunningham bit the dust his sorry old man bailed. hmmmmm other ships of this class, the USS Medger Evers, he was a civil rights hero that was gunned down during the fight for freedom here at home and never even served in the navy but was in the army instead. no hue and cry about naming a ship after him. and then there is the USS John W. Brown (one of the last surviving liberty ships). he was a canadian-born labor leader that organized shipyard workers (and other industrial workers in america). naming navy ships after notable persons that are a part of american history is a long tradition in the navy. 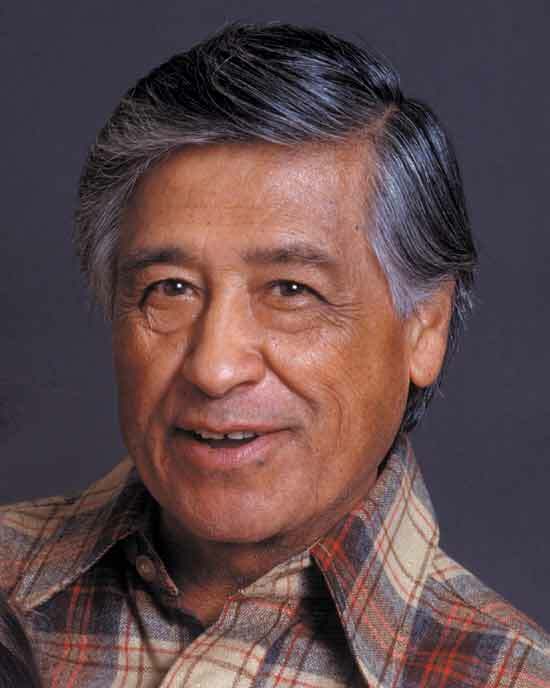 NBCSan Diego reports: The next U.S. Navy cargo ship will be named after civil rights leader Cesar Chavez, the Secretary of the Navy officially announced Wednesday afternoon at a Barrio Logan ceremony. The news was met with pride by members of the Chavez family who were on hand at the General Dynamics NASSCO shipyard for the announcement, but it was not without controversy as it drew fire from a Southern California congressman. Navy secretary Ray Mabus stood alongside members of the Chavez family and the current president of the United Farm Workers of America to acknowledge the naming of the USNS Cesar Chavez, which will be in service sometime next year. His widow Helen Chavez said her husband knew that there were many Cesar Chavezes involved in the farmworker rights movement, but their names were largely unknown. So with that, the family said they accepted naming of the USNS Cesar Chavez on behalf of all Latinos who helped build America and served their country. Chavez’ son Paul was also at the ceremony and said his father’s story was much like the story of other immigrant who came to America looking for a better life and found a sense of pride and patriotism. “My dad was like many Latinos and African Americans from his generation who returned home in the years following World War II determined to see that the country for which they sacrificed lived up to its promise as a beacon to the nations of equality and freedom,” Paul Chavez said. Wednesday’s ceremony was free of controversy, but there are those who object to naming the ship after the UFW leader. A Republican California congressman Duncan Hunter publicly opposes the idea. “We’re talking about a person who believed in nonviolence — the absolute core belief was nonviolence,” said Randy Shaw in San Francisco, where he is the executive director of the Tenderloin Housing Clinic. Shaw also is the author of “Beyond the Fields: Cesar Chavez, the UFW and the Struggle for Justice in the 21st Century,” published in 2008. I believe Rep. Hunter may be right, but for the wrong reason. Cesar Chavez was a proponent of nonviolence; he wouldn’t have wanted a ship carrying supplies and troops to war to be named after him. 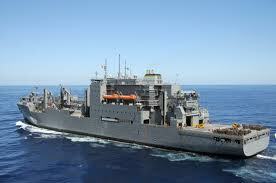 Well, it’s an unarmed supply ship, not a combat warship. These ships also get used do deliver supplies to Navy relief missions such as those for the Indian Ocean and Sendai tsunamis, so he shouldn’t be feeling too bad, I think that at least is a mission of which he’d be proud.